The eighth in our Olympia Dream Matchup Series is a classic battle of size versus size, the New Breed versus the Old Guard. Simply put, it is one man trying to climb to the top of the mountain, against the man who stands on top of it: Dennis Wolf versus Jay Cutler. 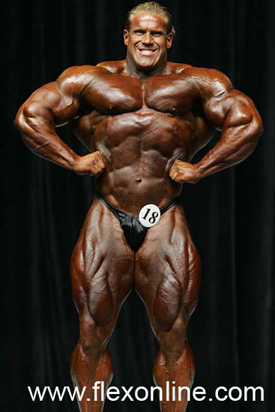 FOR FULL DETAILS OF JOE WEIDER'S 2008 OLYMPIA WEEKEND GO TO MROLYMPIA.COM!! The Olympia still belongs to the mass monsters, and, among them, there is no more intriguing battle than Dennis Wolf versus reigning Mr. Olympia Jay Cutler. A lot of talk has been made about last year's event, when Wolf was never directly compared to Cutler. With two Olympias under his belt, including last year's fifth-place finish, Wolf is now a known commodity on the Olympia stage, and he will be oozing with confidence this year. Although he won't say it, Cutler sees a lot of himself in Wolf, and Wolf's sheer size alone has played a large part in Cutler regaining the fire he seemingly lost leading up to the 2007 Olympia. You can bet Wolf will be gunning for Cutler, and you can bet Cutler will want to shut the door on Wolf's Olympia hopes from the moment the two turn around. WHAT WE WILL SEE: Size. Perhaps the single most anticipated moment of the contest will be when the two are called for the first time - without question in the first callout - and stand side by side. The present versus the possible future. Ronnie Coleman in the back department, Cutler's total development there is unmatched, and he will dominate in that area from mid-back down. OUR TAKE: Wolf will at first have the crowd on his side, in particular after hitting his unmatched most muscular. 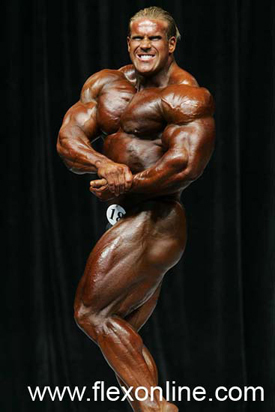 Cutler's lack of conditioning in 2007 opened the door for Wolf to be mentioned as a challenger this year, and the two-time Mr. Olympia now recognizes the German as a legitimate threat. But all signs point to Cutler coming in to this contest in his best-ever form. When looking at the complete picture, Cutler's balance of a vastly superior proportioned upper and lower half - complete with calves and the best back in the sport today - will leave no question as to who owns the present. DISAGREE WITH OUR ASSESSMENT? GIVE US YOUR OPINION HERE! Order videos of Olympia Weekend at IFBBTV.com!